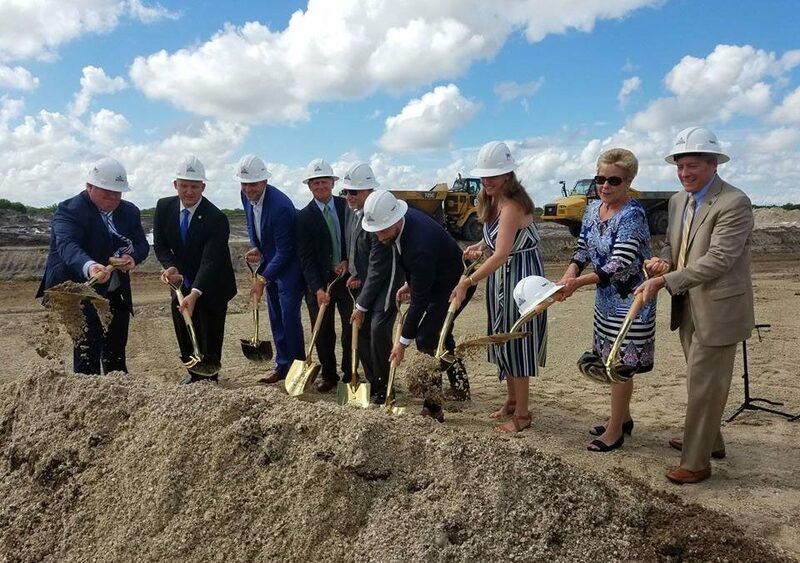 We were thrilled to join our friends at TAMCO Group and City Electric Supply (CES) for the groundbreaking ceremony of their new state-of-the-art facility and Tradition Loop Road in City of Port St. Lucie on September 13. TAMCO/CES is the largest privately operated business in Port St. Lucie. This new 400,000-square-foot facility will not only help them grow, but also provide infrastructure to create even more opportunity. This project helps to diversify the local economy and expand the competitive business environment in Port St. Lucie. The Florida Department of Economic Opportunity, Enterprise Florida, Inc. and the Economic Development Council of St. Lucie County were out there to mark the occasion as well. Congrats TAMCO Group! We can’t wait to see what the future brings!